Newly-released data by developmental psychology professor, Dr. Elizabeth Kelley shows that kids who have outbursts and show strong reactive emotions are are more likely to be bullied. "Unfortunately, I think this says a lot about adolescent behavior." says Dr. Kelly, "Bullies pick on the kids they think they can get a rise out of, and when those kids react strongly, they just tend to get picked on more." Although her study was done on children with autism, there's a lesson in it for all of us. 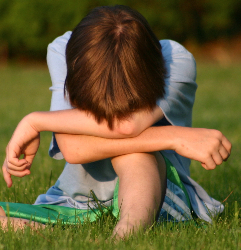 Kids who have trouble controlling their emotions risk drawing in more bullying and ostracism. Kelley says emotional intelligence -- the ability to read and understand the feelings of self and others -- plays a big part in whether or not a child will be bullied. Ability to control emotions and make rational decisions is part of the brain's executive function, and when this function is weak, we see more impulsive behavior and hair-trigger reactions. A child's ability to use good judgment is compromised when executive function is low, and this can cause him to act in ways that work against his own best interests. We often see this in kids who exhibit fragility or aggression when bullied. "When people are mad I give them some space now. That breathing technique you taught me helped me calm down and get myself together. Like I was really mad when this kid took the football the other day. I almost fought him, but I stopped myself and did the breathing technique and my calming statement: 'I believe in myself. I can do anything I set my mind to.' It worked. I'm learning how to cope with life now. I get in trouble less, and I have a lot more friends." The good news is that people of every age can learn to "change their brains" and become less reactive, just as Raymond did -- even those with autism and other disorders that compromise executive function. Recognizing one's emotions is the first step. Then comes learning strategies to quell reactions. That's where Stop, Breathe, Chill comes in. It helps us move out of the reactive part of the brain (the "reptilian brain"), into the place of executive function, the neocortex. I described this strategy in an earlier post, but just in case your missed it, here again is how it works. The minute anger strikes, and your heart starts pounding faster, immediately give yourself the cue to STOP. Say the word silently and flash a stop sign in your brain. As you do this, BREATHE -- three slow deep breaths, inhaling deeply and as though the air can fill your abdomen. Next, CHILL by replacing reactive thoughts with a calming statement. The one I always use is, "I can handle this." Some people use a single word, like "Calm," others use a favorite phrase from a song or prayer, and others use a calming image or a word that represents it (beach, sky, ocean). Choose a calming statement that works for you, and use it every time anger strikes. By doing so we stop the reaction process in its tracks, and enable ourselves to choose a response instead. Each time we use "STOP, BREATHE, CHILL," we train the brain to handle reactivity in a whole new way. For kids this can spell the difference between being bullied or not. Kids can be taught to control reactions that draw in more bullying. 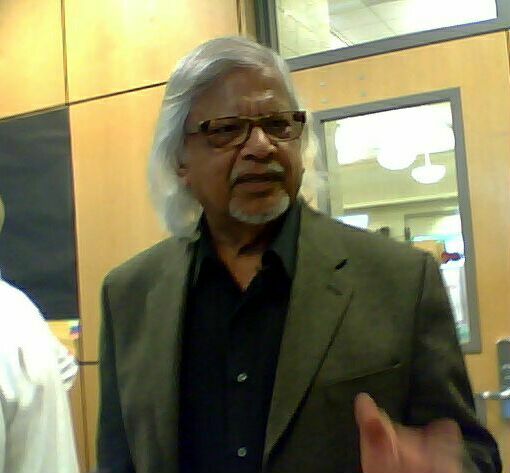 Icon, visionary, and bridge to the teachings of his grandfather Mahatma Gandhi, Arun Gandhi brought his universal message of respect and non-violence my area this weekend. With quiet passion Gandhi urged us all to find a place of compassion inside ourselves, and to always seek understanding in the face of conflict. Continuously stressing his grandfather’s message: “We must be the change we wish to see in others,” Arun Gandhi called upon all of us to continuously live the principals of non-violence as an active, dynamic, preventive process – a far cry from the passive images the word “non-violence” sometimes connotes. Gandhi addressed the issue of bullying on Saturday and urges students to protect and support peers who are bullied. Born in Durban, South Africa in 1934, Dr. Gandhi himself is no stranger to bullying. “I was beaten by white people for being too black, and I was beaten by black people for being too white.” Angered by these experiences, he learned from his legendary grandfather to channel the energy of anger into positive action, and he’s been teaching people to do this ever since. Keep an anger journal. Mahatma Gandhi taught Arun to do this when he was young, and now he recommends it everywhere he goes. He cautions, however, that the journal must not be used simply to vent. The intention must be to find solutions to the problem. Herein lies the transformative power. Do “mental exercises” to quiet the mind, such as silence and meditation. By doing so, Gandhi says we start to gain control over the reactive nature of our minds. When faced with anger, the control we develop through our practices enables us to choosea response in the face of anger, rather than simply react. Doing so can spell the difference between escalation and resolution. Teach children responsibility through kindness and respect, not punishment. This is how Dr. Gandhi was raised, and the lessons his parents taught with quiet dignity remain with him to this day. He strongly urges parents to get off the fast track and spend more time with their kids, not indulging them, but lovingly guiding them through their own example of kindness, compassion, respect, and restraint in the face of anger. Dr. Gandhi believes our schools need to change too. “Our education system is so geared toward teaching kids how to ‘succeed’ that we forget about building character. Children need to learn to understand and appreciate differences.” This, Gandhi believes, is the key to ending bullying. He warned about the “passive violence” of emotional bullying. High School sophomore, Kaitlin Junod, who attended the Saturday workshop, sees a lot of emotional bullying at her school, especially among girls. “You don’t think of passive violence as much as physical violence,” says, Kaitlin, “but it can be just as harmful.” Fellow sophomore, Emily Hartwell, agrees but thinks it’s hard to intervene when someone you don’t know very well is being bullied -- you don’t want to end up being the target yourself. Sixteen year-old Dustin Todd agrees that’s it’s harder to intervene with kids you don’t know, but says he always intervenes when friends are bullied. “Always be kind to people,” is his guiding principal. The lesson he learned at a Quaker school when he was young still sticks. So what can we do to alleviate bullying in schools? Dr. Gandhi says this: “We all have to work together to support and protect each other. Do it not with physical violence, but with love and understanding.” He believes that the more kids and teachers who serve as upstanders, the less bullying we’ll see. “If you respond with violence, they (bullies) have greater power over you. If you respond with love and respect, they get lost and don’t know what to do.” Banding together for the common good, and teaching lessons in compassion all the way through may be our greatest hope. By doing so we may well live Mahatma Gandhi’s vision, becoming the change we wish to see in others. A living treasure whose message we must heed. Did you know that the more love and affection a person receives as a baby the more empathic they will be as an adult. Babies who are held frequently and whose cries are answered quickly became more caring people in later years. So say the findings of Notre Dame psychology professor Darcia Narvaez, in a group of studies she conducted on fostering empathy. The higher parents were in "responsivity"-- responding to their baby’s needs and subtle nuances – the higher their babies were in moral development and in being attuned to the feelings of others. Says Narvaez, "Responsitivity is clearly linked with moral development. 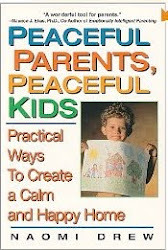 It helps foster an agreeable personality, early conscience development and greater prosocial behavior." So does disciplining with love, as opposed to disciplining in a punitive way. The ability to share the pain of others is often what stops a child from bullying. So, if we want to see less bullying, more kindness, we have to start when kids are young and continue as they grow. Answer their cries. Don't make them wait. Talk to them, smile at them, and make lots of eye contact. Cuddle them as often as you can. The more time in your arms, the better. Notice the subtle signals of their needs, and respond as quickly as you can. Showing lots of love will lead to greater empathy. Even "nice" kids can resort to meanness in today's contentious culture. Here are seven steps to take if you're a teacher or parent. They'll help cut back on mean behavior and bring about more kindness. Make kindness the expected norm in your class or home. Model, teach, reinforce and expect kindness, compassion, respectful behavior. If you’re a teacher, weave in a lesson a week and follow up. If you’re a parent, have family meetings to reinforce and problem-solve. Never look the other way when bullying or cruelty occur. Confront them immediately. Hold offenders accountable: have them make amends; give a consequence; follow up. Give lots of positive recognition for kind behaviors: acknowledge, describe, reward, expect. * For a free downloadable lesson on teaching kids to be upstanders, click here. 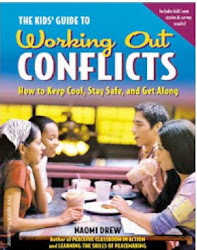 ** For steps to resolving conflicts, click here. You can stop mean behaviors before they get out of hand. Parents, did you know that by talking to your kids, sharing ideas together, and knowing your kids’ friends, you can better assure that your children will not end up bullying others. This is the finding of a new study released at the Pediatric Academic Society conference held on May 1st in Denver. 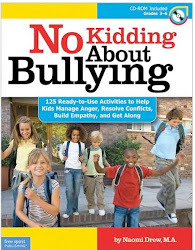 To find out which parental behaviors can cause kids to bully others, click here. Talking and listening can make all the difference.